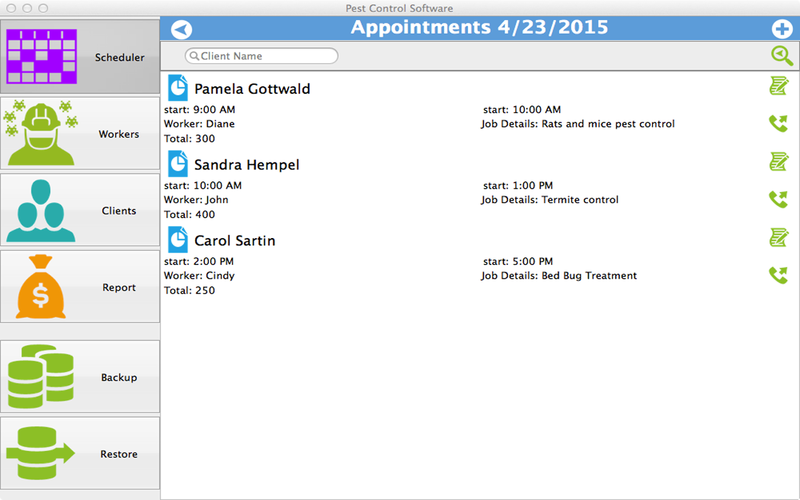 Recording all these services and scheduling new appointments in between can be a very daunting task at times, however through using the scheduler function in the pest control software, finding the best fitting time for new appointments amidst tight schedules is made very easy. The scheduler easily presents the tasks, time and date that has been prefixed for a job already and accordingly new jobs can be assigned to specific workers. The Workers section records in profiles of all the workers with their specialized job designations, while the Clients section holds in the profile of all your customers with details including name, address, email and phone numbers. 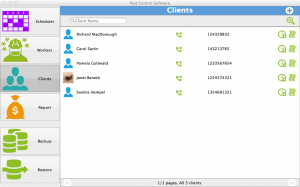 Additional features offered by the program are the options of calling directly to customer’s Skype ID besides making phone calls to all clients and workers. 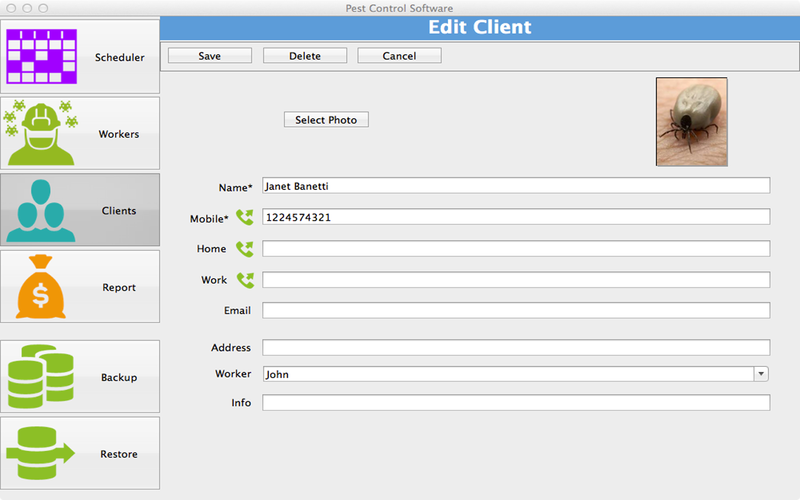 The provision of capturing pictures of clients and workers is also offered to be saved with their respective profiles. Not only can you save in the email, mobile, home and work phone numbers along with the address, but you can also capture photos of the clients if you want and save it with their profile. The Reports section gives complete insight on all daily basis earnings which can be checked instantly with all related information including the job/s and worker/s who earned the amount. 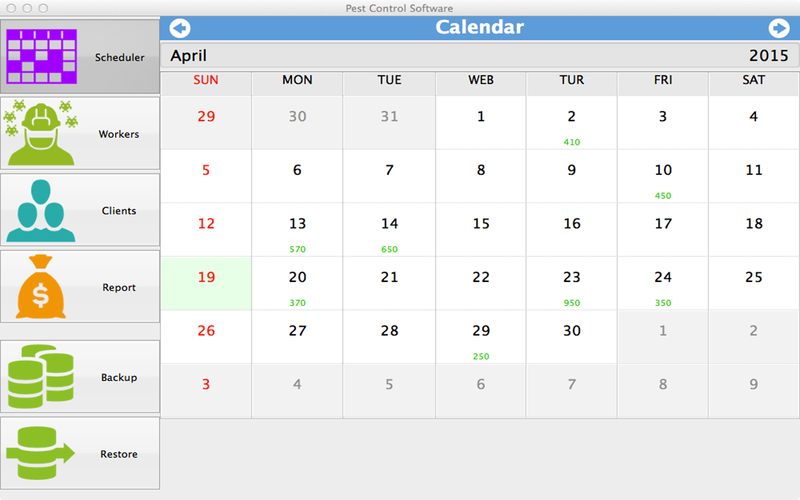 The Scheduler opens in form of a calendar that shows the accumulated daily earnings on the top of every date, besides the associated job details and earnings of every appointment. 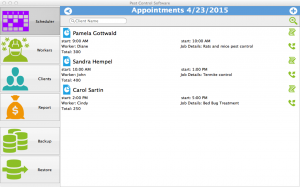 Viewing this calendar, new appointments can be fixed easily without referring to several different people and pages before you can finally come up with a free time. 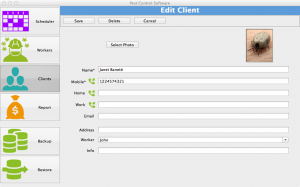 Since the program holds such extensive and important information related to your business, the option of restoring the database on other phones including Windows and Android, is also available which also works as a backup solution for your precious data. 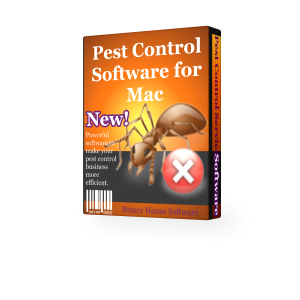 Users will require installing particular programs that are available from respective stores: Pest Control Software for Mobile.